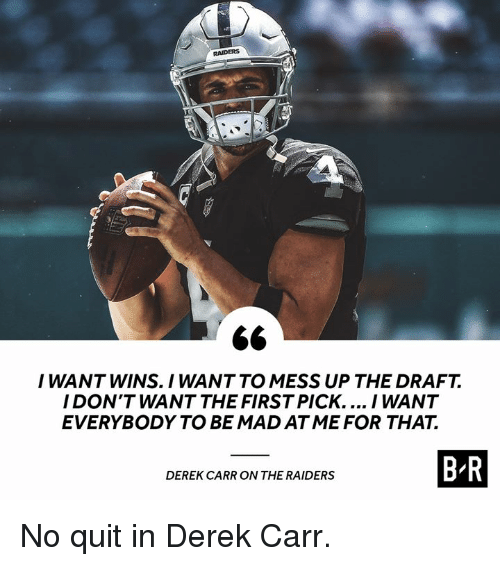 Raiders, Mad, and Derek: RAIDERS I WANT WINS. 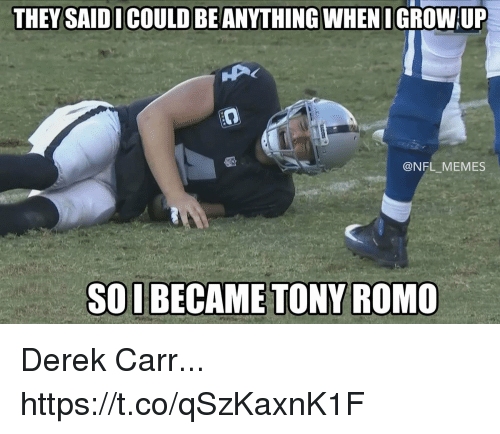 I WANT TO MESS UP THE DRAFT. 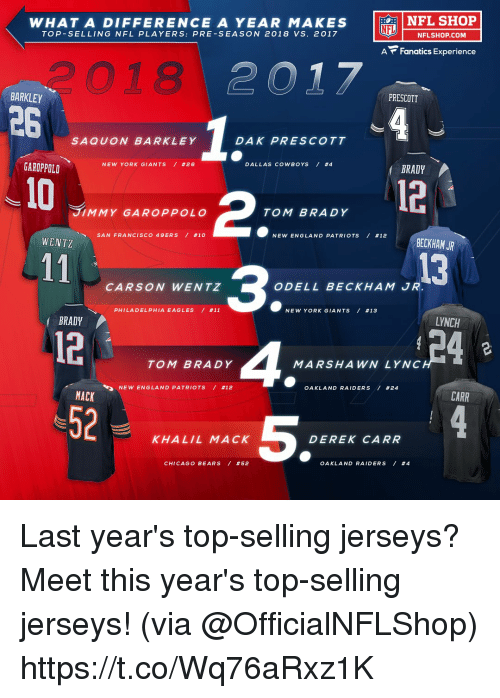 I DON'T WANT THE FIRST PICK.... 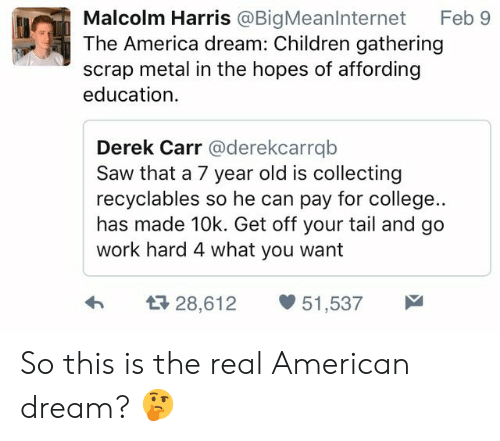 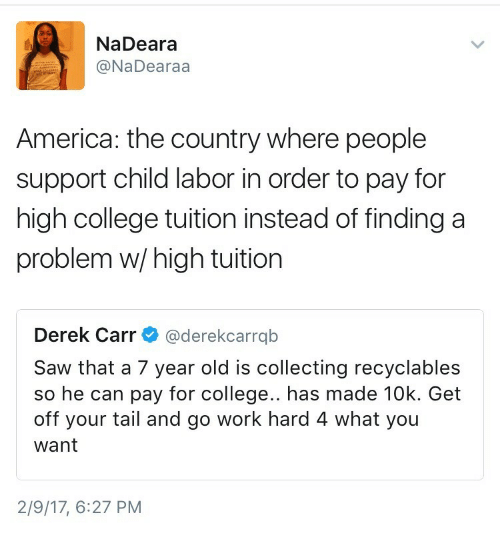 I WANT EVERYBODY TO BE MAD ATME FOR THAT. 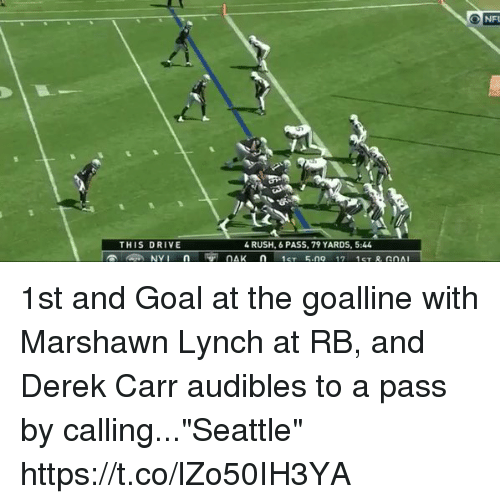 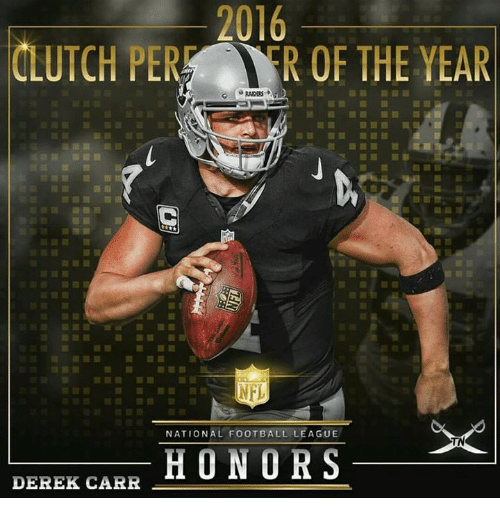 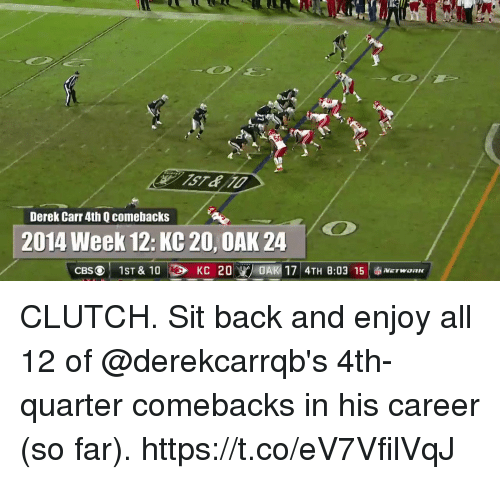 OWTHE SMSERSBR DEREK CARR ON THE RAIDERS No quit in Derek Carr. 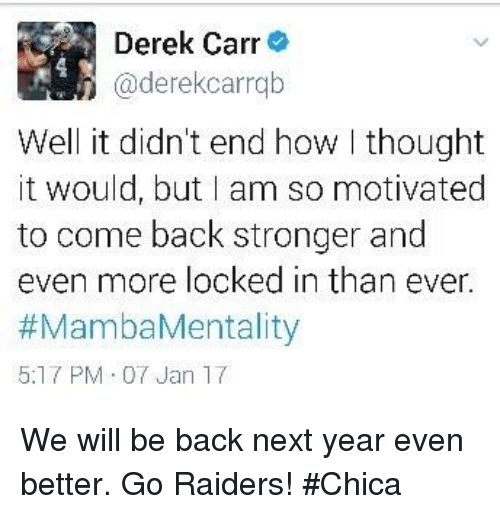 No quit in Derek Carr. 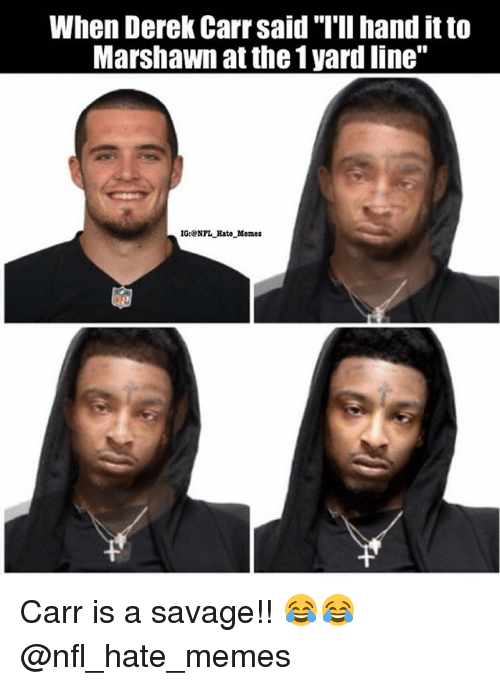 Derek, Weapons, and Will: B R 828 11 89 Martavis, Jordy and Amari. 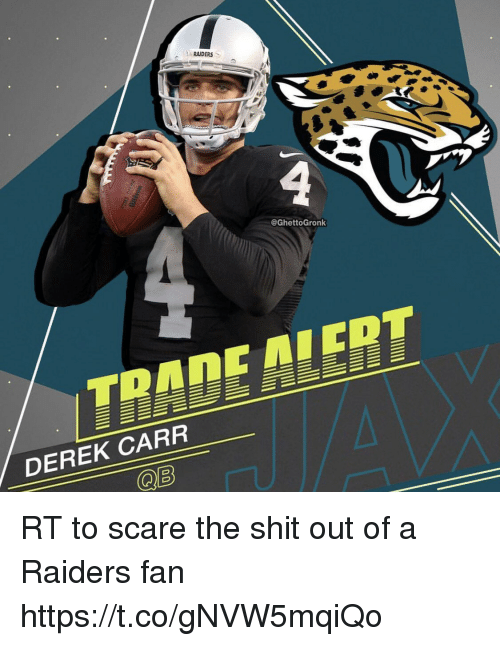 Derek Carr will have some weapons this season. 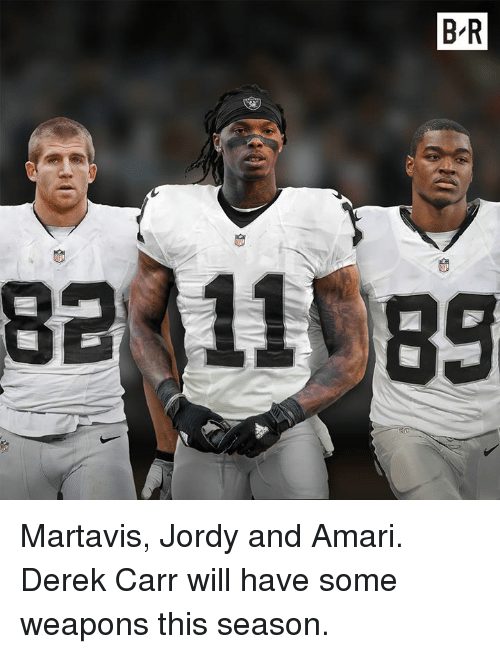 Martavis, Jordy and Amari. 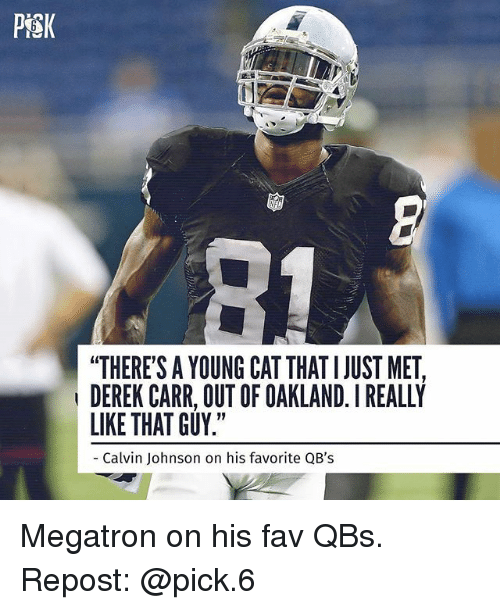 Derek Carr will have some weapons this season. 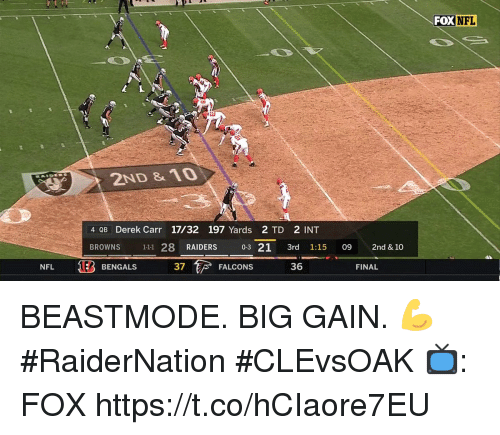 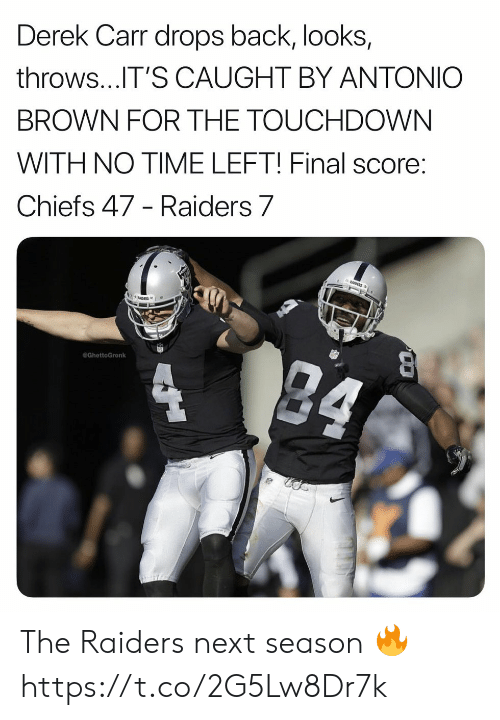 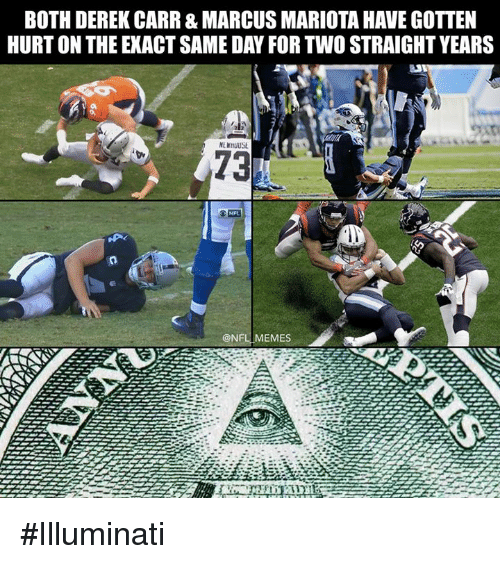 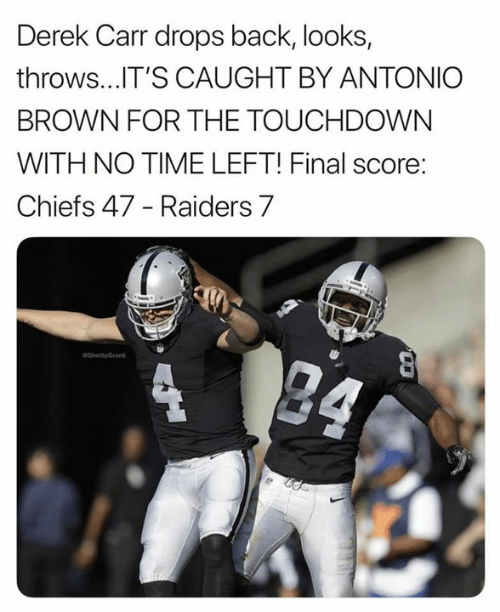 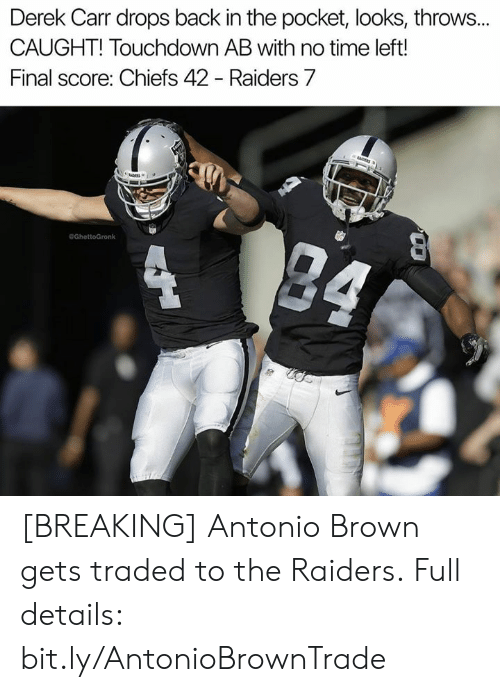 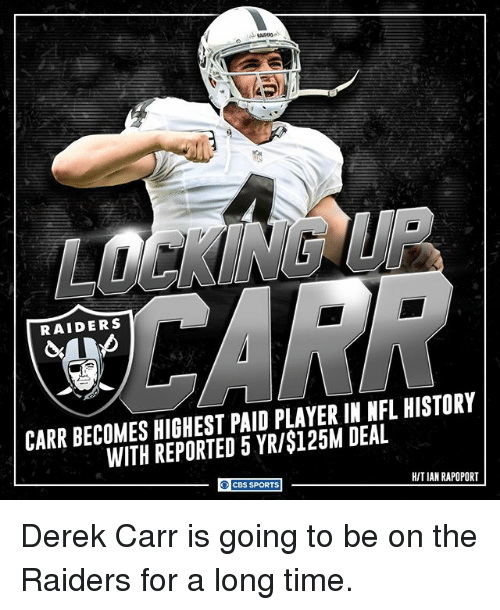 Memes, Nfl, and Sports: RAIDERS CARR BECOMES HIGHEST PAID PLAYER IN NFL HISTORY WITH REPORTED 5 YR/$125M DEAL HITIAN RAPOPORT CBS SPORTS Derek Carr is going to be on the Raiders for a long time. 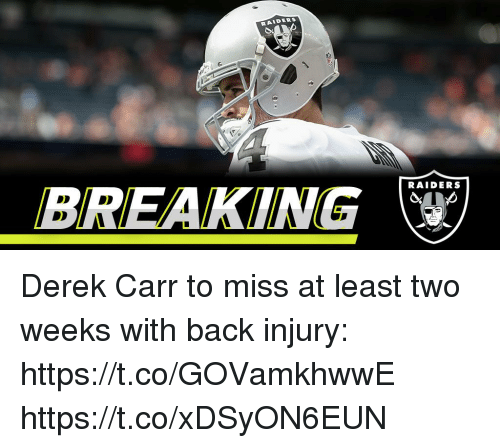 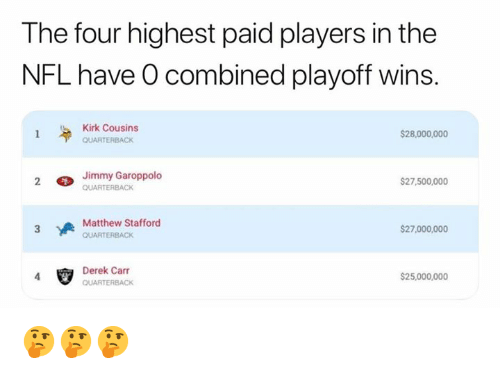 Derek Carr is going to be on the Raiders for a long time. 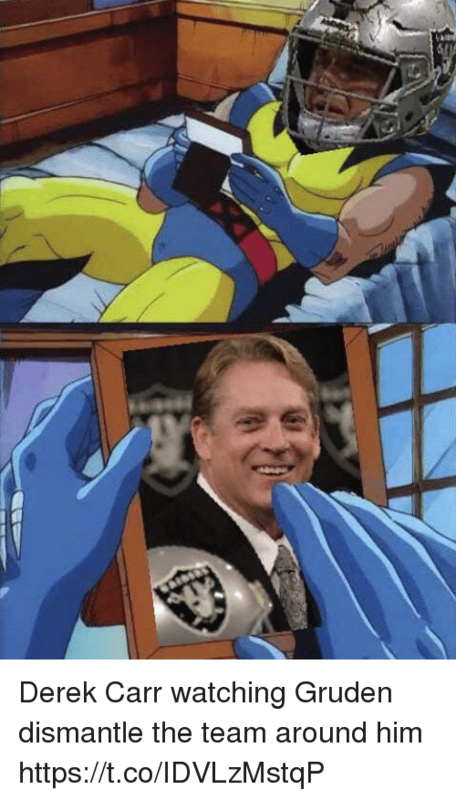 Memes, 🤖, and Sticks: NFL IDERS AS l SIT HERE AND SEE A VOTE THAT TAKES THE RAIDERS TO LAS VEGAS HAM 0VERWHELMED WITH EMOTION I DON'T KNOW HOW WE SHOULD FEEL. 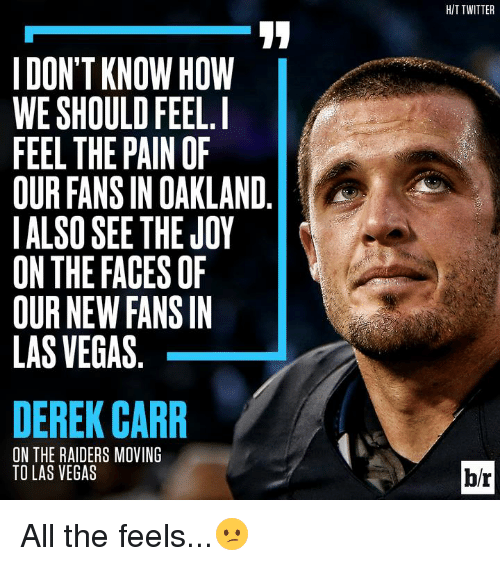 FEEL THE PAIN OF OUR FANS IN OAKLAND ALSO SEE THE JOY ON THE FACES OF OUR NEW FANS IN LAS VEGAS AS PLAYERS WE WILL SHOW UP AND GIVE EVERYTHING WE HAVE WE WILL COMPETE AND WE WILL DO OUR BEST To BRING A CHAMPIONSHIP TO THE ENTIRE RAIDER NATION WHILE AM FROM CALIFORNIA AND WOULD HAVE LOVED PLAYING IN OAKLAND MY WHOLE CAREER UNDERSTAND THE BUSINESS SIDE 0FTHE NFL IT AFFECTS US ALL OAKLAND OUR TEAM LOVES YOU AND MY FAMILY AND LOVE YOU WE WILL BE RESILIENTAND WE WILL STAY TOGETHER BECAUSE THAT'S WHAT TRUE RAIDERS DO WE ARE LOYAL EVEN WHEN IT'S HARD WE STICK TOGETHER ESPECIALLY WHEN ITS TOUGH, SOLAS VEGAS, YOU CAN COUNT ON US BRINGING A PIECE OF OAKLAND WITH US AND YOU ARE GETTING A TOUGH, LOYAL, AND COMPETITIVE FAN BASE AND TEAM WHEN THE TIME COMES H0PE YOU ARE READY FOR NOW IT'S ABOUT 2017 AND OUR DIEHARDS IN OAKLAND GOD BLESS & GO RAIDERS! 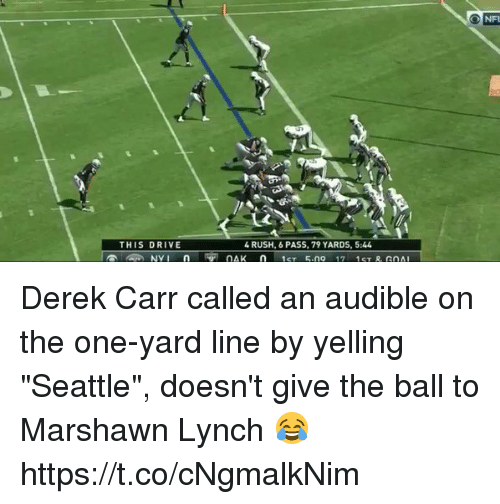 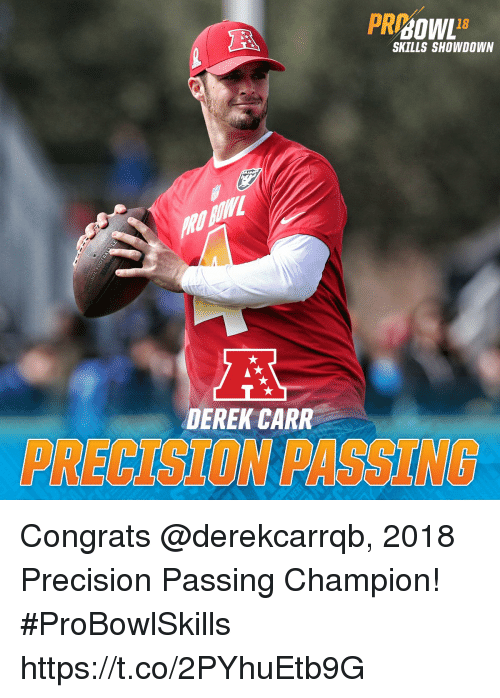 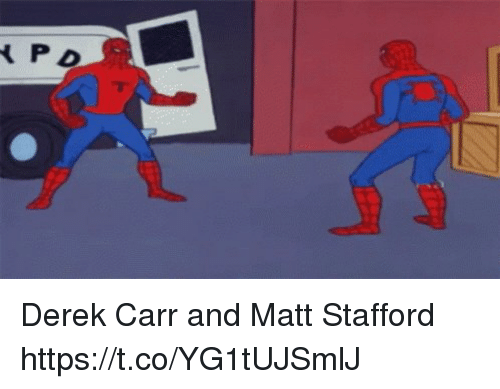 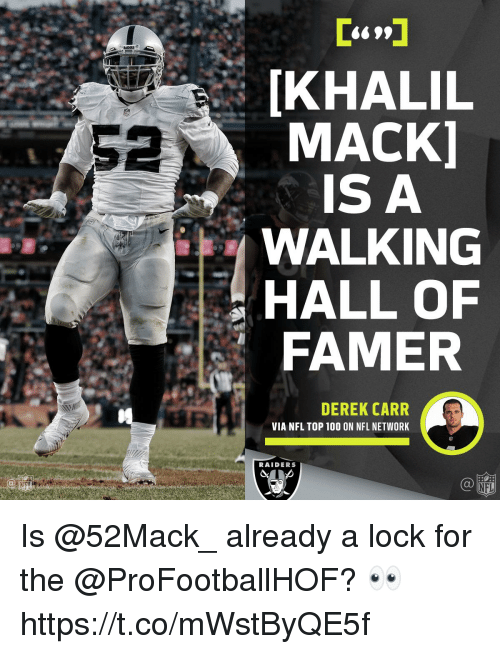 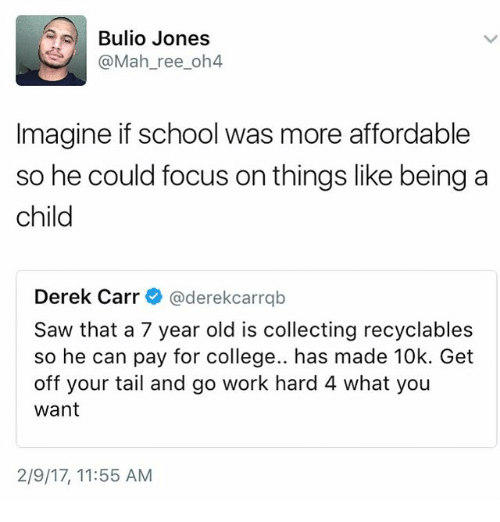 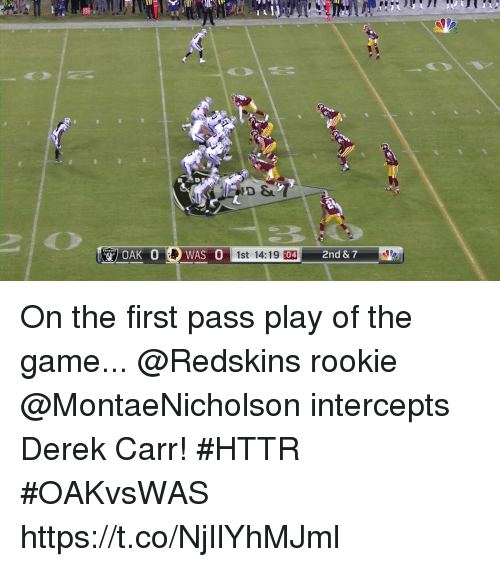 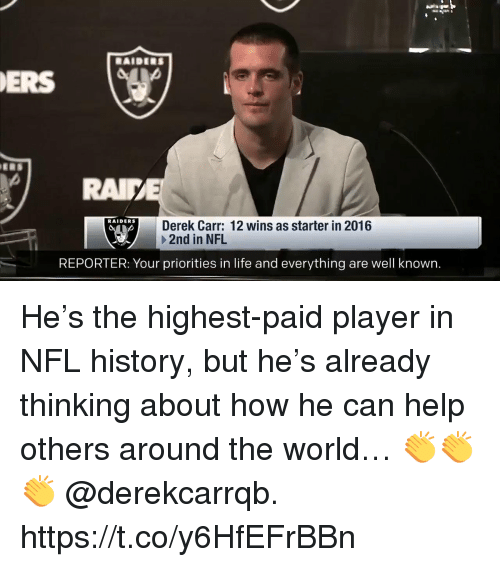 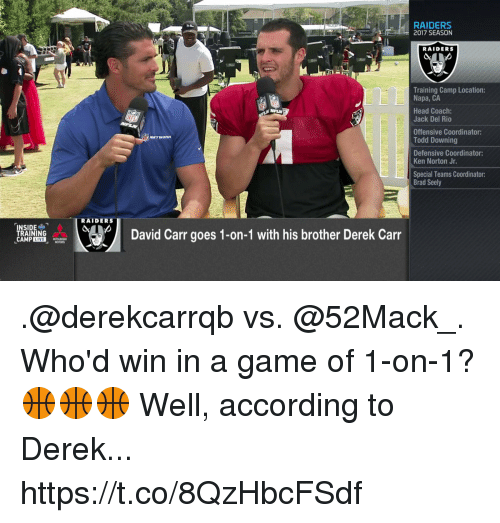 DEREK CARR VIA @DEREK CARRQB . 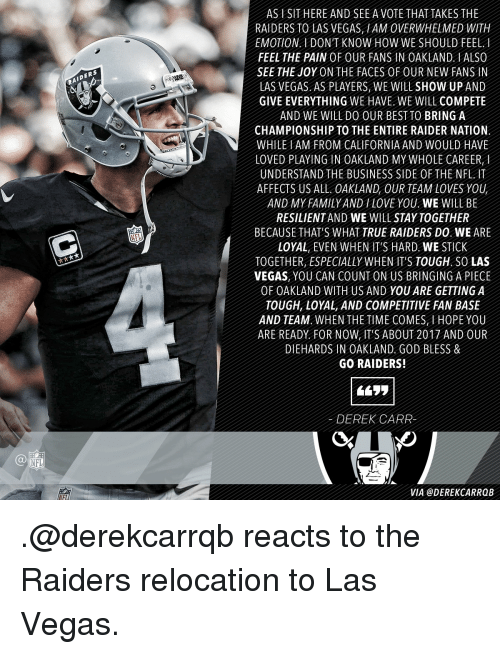 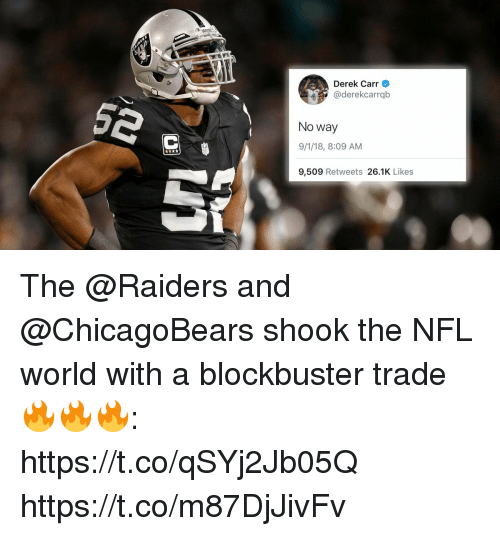 @derekcarrqb reacts to the Raiders relocation to Las Vegas.
.@derekcarrqb reacts to the Raiders relocation to Las Vegas. 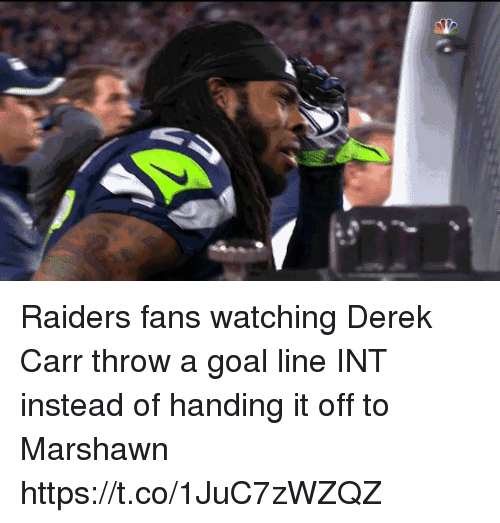 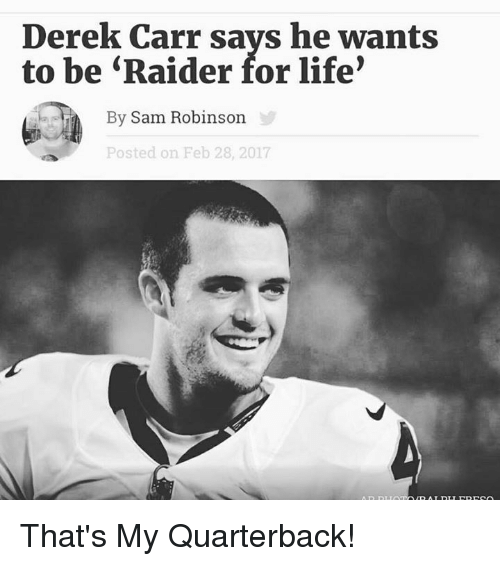 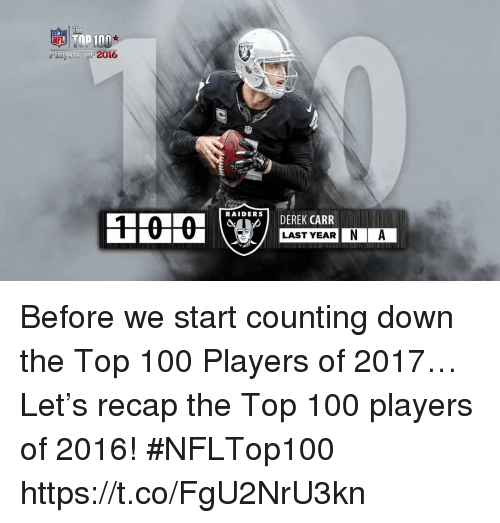 Memes, Raiders, and 🤖: Derek Carr says he wants to be Raider for life' By Sam Robinson Posted on Feb 28, 2017 That's My Quarterback! 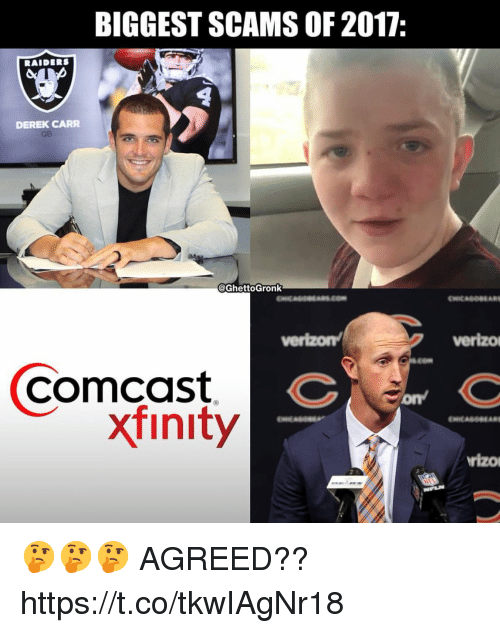 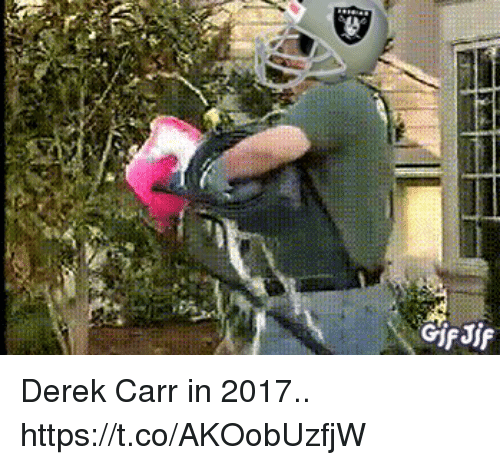 Memes, Home Depot, and Raiders: EXIT Thek Dee Derek Carr yesterday at Home Depot...good to see em walking around. 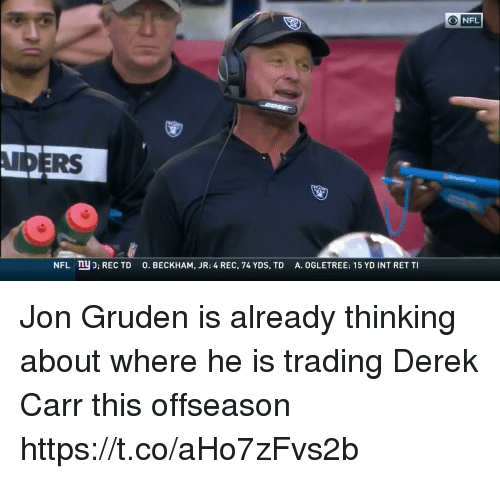 Not my picture, just reposting for the Raider Nation! 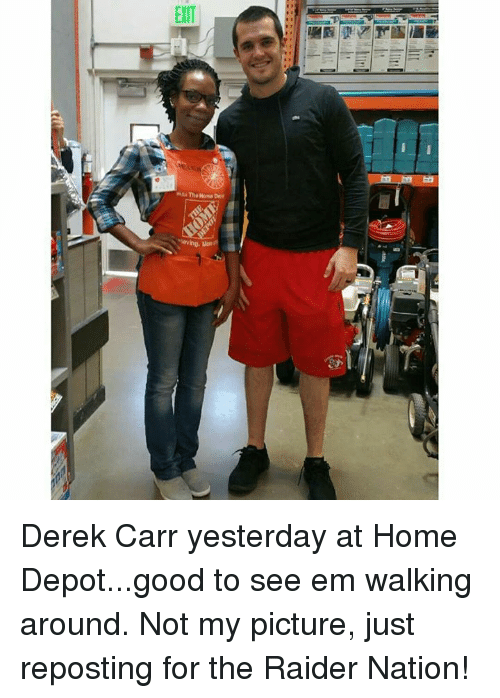 Derek Carr yesterday at Home Depot...good to see em walking around. 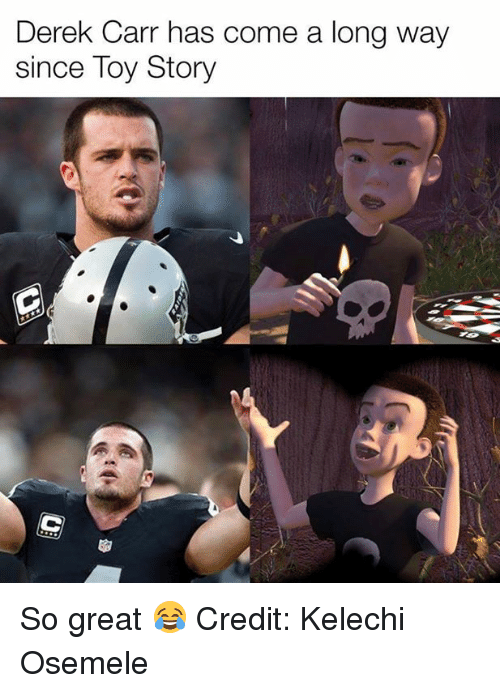 Not my picture, just reposting for the Raider Nation! 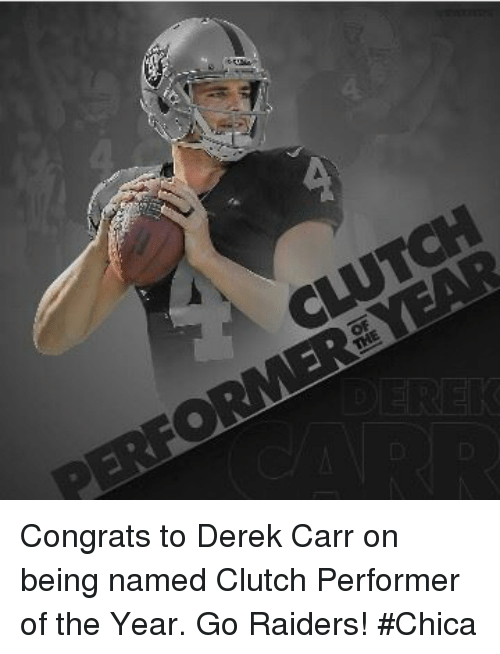 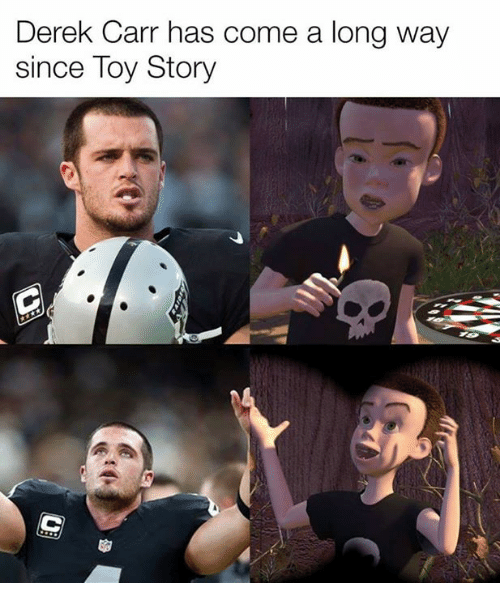 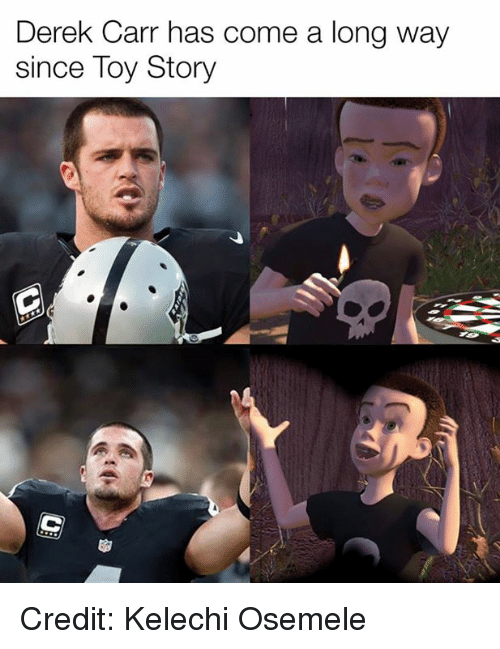 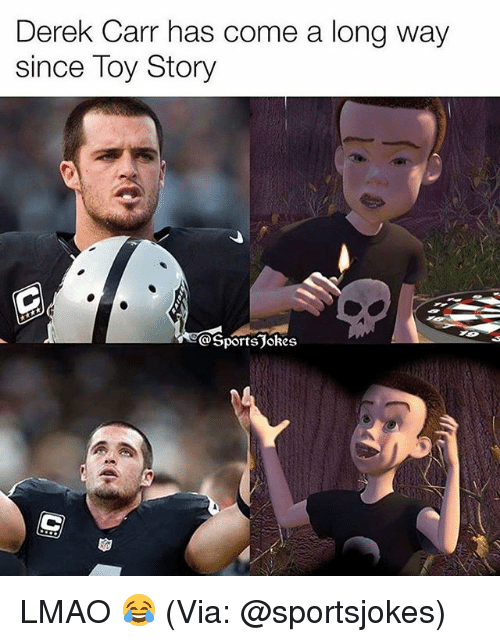 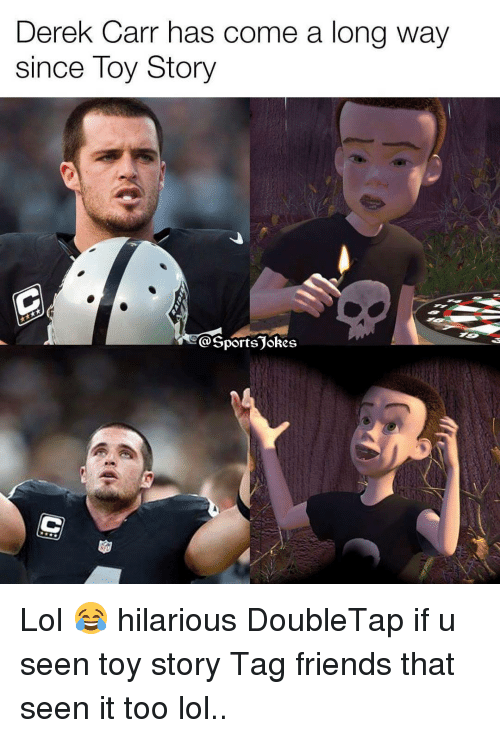 Sports, Toy Story, and Derek: Derek Carr has come a long way since Toy Story @Sports okes Lol 😂 hilarious DoubleTap if u seen toy story Tag friends that seen it too lol..
Lol 😂 hilarious DoubleTap if u seen toy story Tag friends that seen it too lol..